Last year I was lucky enough to attend the Google Apps for Education (GAFE) Summit in Melbourne. Previous to attending this conference I had heard great things about the power of Google Apps but had yet try these out for myself. After two days at this wonderful conference I was overwhelmed at what GAFE could do in a 21st Century Classroom. I was amazed and jumped on board straight away switching from Microsoft Office to Google Apps. Below is an quick insight to Google Apps for education is. Google is allowing students to adapt and become versatile 21st Century learners. 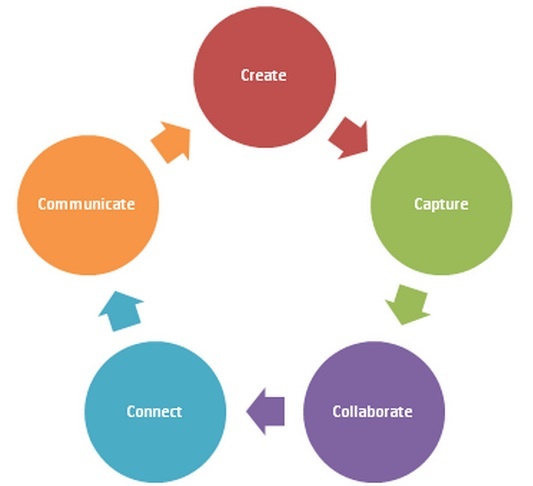 Through the use of GAFE, students are easily able to embed the 5 C’s into their daily work; Create, Capture, Collaborate, Connect, and Communicate. I recommend all schools to strongly consider becoming a GAFE school as the versatility and accessibility for teachers and students is changing the way we think and teach, greatly benefiting each and every student. Is your school using Google Apps for Education? How are you using Google Apps for Education in your school? I’m in the process of setting up GAFE at the moment and hope to roll out at the beginning of Term 2. I’m also investigating the use of Chromebooks and noticed that this is something you are q few steps ahead in. We currently have a 1:1 iPad program for our 5/6 students which is working quite well however consider it wise to keep abreast of what else is out there. What is the biggest impact GAFE has made to your teaching so far? Sorry for my late reply. One of the biggest impact of using GAFE in my teaching is allowing students to collaborate together. It has also made it easier for me to monitor and check student progress through the commenting tool on GAFE. At our school we also use Hapara Teacher Dashboard which allows me to manage and see all student work and folders. Through the dashboard I can also send templates etc to students. I recommend this to all who are using GAFE. I believe once you go GAFE and it is embedded into your school, Chromebooks just compliment it very well. (iPads have limitations when using GAFE). I have another blog post on its way on using Chromebooks in the classroom. It has changed the dynamics of my classroom where students are more engaged and have taken ownership for their own learning.